I hope all of you had a glorious Easter. I wanted to bring your attention to something that is happening later this month here, in Cincinnati, that I think you will find very, very interesting. 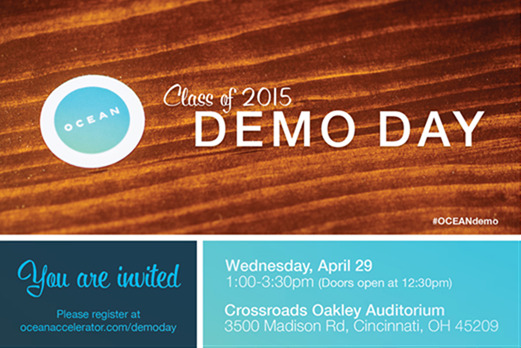 You may have heard of OCEAN, which is a faith based business accelerator. Genine Fallon, executive director of OCEAN, along with some others who are involved asked me to invite you to their event at 1pm Wednesday, April 29th. The invitation is attached, and I would encourage you to respond as soon as you can. I have also attached a few links to information on OCEAN, as well as a short YouTube video that you may find of interest. Hope to see you there.